Adjustable strap secures pillow to leg. Helps maintain proper spinal alignment. 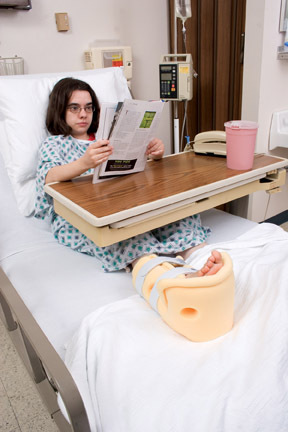 The Knee Separator Pillow allows a user to sleep more comfortably because of its uniquely designed shape. 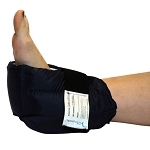 The Knee Separator Pillow eases pain in the back, legs, hips, and knees by maintaining proper spinal alignment. Adjustable strap secures pillow to leg. Removable washable cover. 7 x 5 inches. The Velcro is too long. It wraps around my leg and has so much left over it bothers me. There is no way to adjust for a small leg. Haven't used it but a few minutes and can't return because of policy.